If we talk about one of the most important substances present in our muscles then we simply can’t ignore creatinine. It is usually made by the creatinine phosphate as a breakdown product. Now how do we know that serum creatinine is present in the muscles? Well, for this purpose, we have a number of serum creatinine tests in the field of biology and Jaffe’s method is the most reliable of them. Today, we are going to discuss this method in great details. I will tell you about all the materials that are being used in the test. 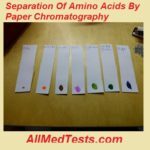 We are going to talk about the procedure of this test, the preparation of reagent, principal, and at the end, I am going to mention the precautions which you must take before performing this test. Once having said all this, let us now move with our test to find serum creatinine. Creatinine. Standard solutions were prepared daily by dilution of a stock solution containing 400 mg. creatinine/100 ml. of 0 1N-HCl. The stock solution was stored at 0° and was never kept for longer than 4 weeks. Picric acid. An aqueous solution, saturated at room temperature (18-20%), was prepared from picric acid (A.R.) which had been recrystallized twice from water and satisfied the criteria of purity proposed by Folin & Doisy (1917). The solution was kept in dark bottles and was made up at intervals of a few days. Other reagents. Sodium hydroxide, (A.R.) 2-5N. Sodium tungstate, (A.R.) a 10% (w/v) solution of Na2WO4, 2H20. Sulfuric acid, (A.R.) 0-66N. Phosphate buffer, 1 m, pH 7 0, Oxalic acid, (A.R.) saturated aqueous solution. Lloyd’s reagent hydrated aluminium silicate. 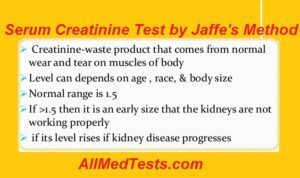 Let us now go through the step by step procedure of performing this test and find the presence of serum creatinine by Jaffe’s Method. Make sure that you follow each and every step very carefully in order to have a successful test. Also, take care of all the precautions that are written in the precautions section below this one. 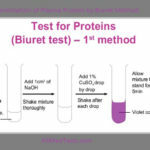 Once you have the reagent, the equipment, and you have taken care of the precautions, we are good to go with the test. 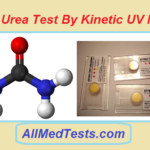 To 40 ml of the solution containing creatinine were added 2-0ml of alkaline picrate solution and the color was allowed to develop for 20 minutes in a water bath at 20 + 0-20. The alkaline picrate solution was made up immediately before use by adding 1 vol. of sodium hydroxide to 5 vol. of picric acid. The optical density of the developed color was measured at a wavelength of 520 ml using water as reference optical density. These are all the steps from the test. Let us know have a look on the results of this test. For determinations in plasma or serum filtrates or in diluted urines, two standard solutions were included with each batch. 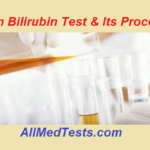 All results were expressed in terms of creatinine. 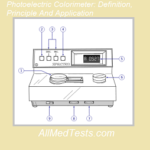 Light absorption by alkaline creatinine picrate. The absorption spectrum of alkaline creatinine picrate shows maximum absorption in the region of 490 mu. But at wavelengths below 500 ml the optical density of alkaline picrate (i.e. the reagent blank) is also high. Consequently filters having maximum transmission at wavelengths above 500 mi. have generally been used. When measured with absorption meters employing diffraction gratings which provide light with a relatively broad waveband, the developed color is reported not to obey Beer’s Law, but with instruments providing light with a narrow waveband Beer’s Law is reported to be obeyed over the required concentration range. It has also been reported, however, that even with monochromatic light Beer’s Law is not obeyed at all wavelengths. As I have mentioned before that taking important precautions before performing any test are very necessary. Taking these precautions will definitely ensure a successful test and you will not be harmed by any chemical being used in the tests. So following are the precautions for this test. Make sure that you have cleaned all the equipment used in the test. Also, make sure that all the solutions in the test are measured correctly. Wear gloves to protect yourself from the effect of any corrosive chemical during the test. Once you have taken care of all these precautions, you are good to go with the test. In the comments section below, you can give your feedback about the test and also ask any question related to the test. 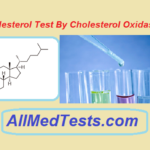 Visit the homepage of our website All Med Tests to read about some biological tests.